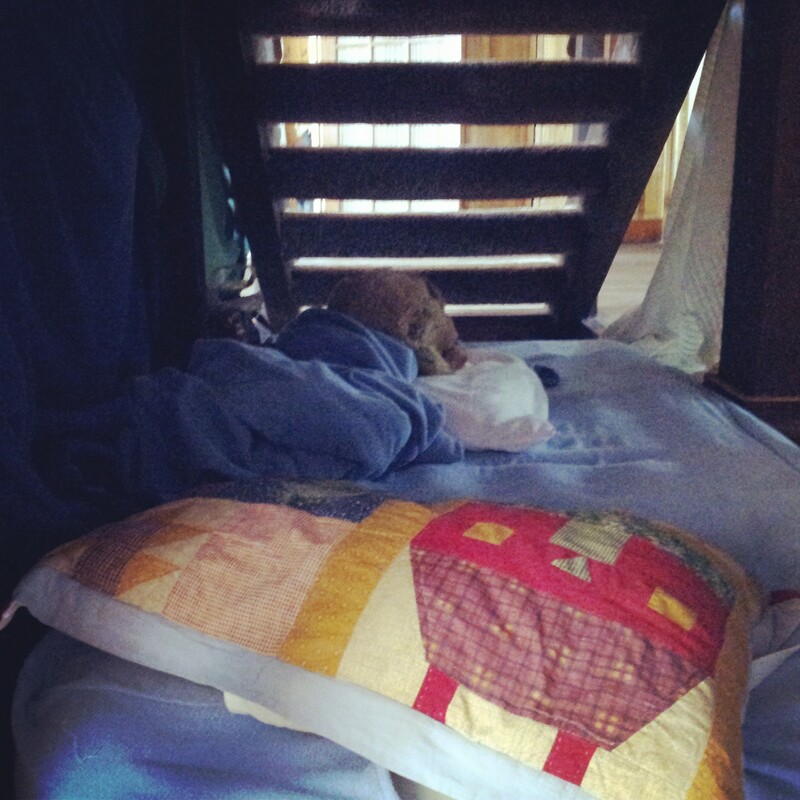 I went to a cabin in Big Bear last weekend and indulged in a childhood delight: I slept in a fort under the stairs. I came late to the cabin party so all the beds and couches had been taken. My good friend Diana, who’d organized the cabin weekend, said there was a hidden sleeping spot, a fort they’d made by tying blankets to the stair railings. There were pillows inside, it felt secret and safe. I claimed it! This was a perfect turn of events, because lately I’m trying to act more like a kid. 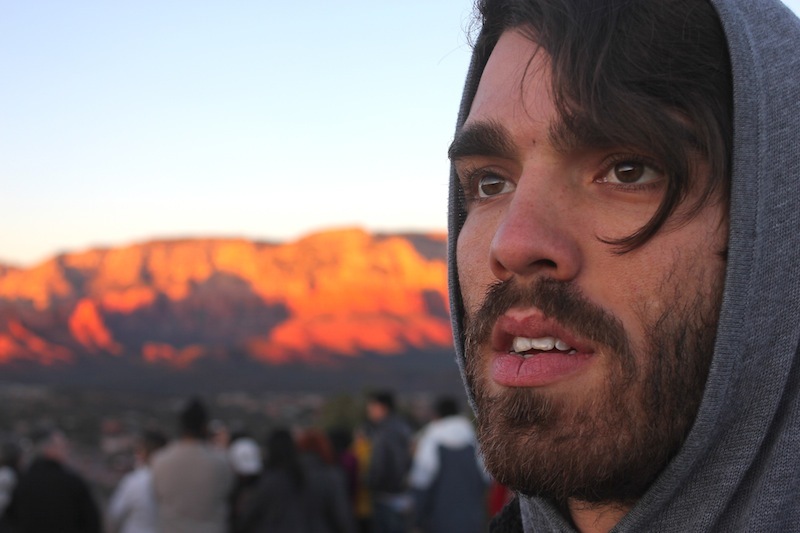 The closer I get to childlike experiences, the happier I feel. The more serious life gets–loved ones with health problems, taxes I still need to file–the more I find relief in seeking out the simple magic of childhood, when blankets could create enchanted hiding places, and life was as trying as my next spelling test. I actually really like being an adult, but there’s a freedom in approaching each day with childlike wonder. To watch my babe niece, the magnificent Junely, playing in her kiddie pool, sunlight all around her, discovering the splashing noise her hands make in the water, is to remember that it IS astounding our arms move because our brains tell them too, and we can create sounds, sensations, anger, silliness, sadness, anything at all with our imaginations. So that’s why I’m trying to do kid things every day: I dance around my room to silly pop music, I kick dandelions to create fairy dust, I eat dessert before dinner (try it!). And I sleep in forts. Diana crawled into the fort with me for a time, which was fitting, since we first met at 10 years old, when we’d spend hours turning our Tahoe homes into labyrinths of dreams, while outside it snowed and snowed. That night in Big Bear, in the fort, I slept deep and well, safe in the kid feeling that life was easy, and I’d always be taken care of. The fort in Big Bear. Cozy. Secret. A place to dream.